← Lafayette Square, Buffalo, NY. 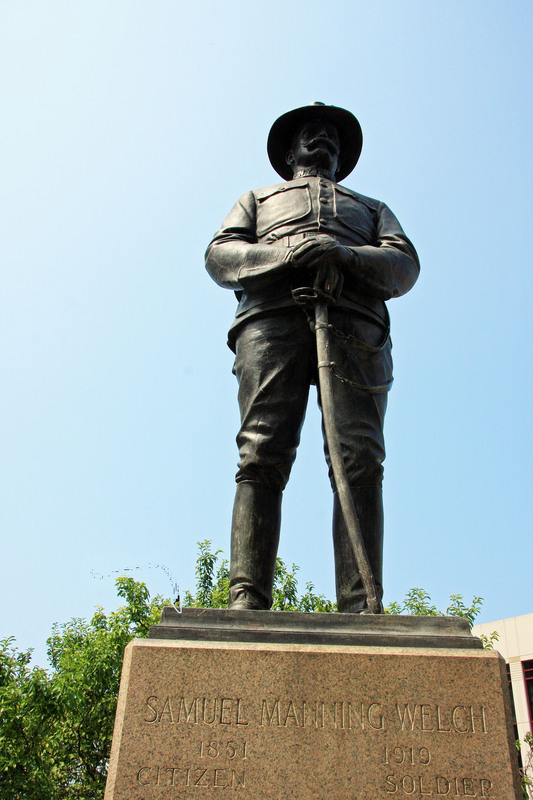 Samuel Manning Welch, 1851 – 1919, Citizen, Soldier; 1879 – 1915, Served in the National Guard of New York; 1887 – 1911, Colonel 65th Infantry; 1898, Colonel 65th New York Volunteer Infantry in Spanish American War; 1911 – 1915, Brigadier General 4th Brigade N.G.N.Y., Brevet Major General. This tribute to him as a man and patriot is made by his comrades and friends. 6 Responses to Citizen-Soldier in Buffalo, NY. Thanks, I was trying to capture his face. I agree, she is one of all time hero’s.